My client is not innocent. Does he deserve the death penalty? It’s 11:30 p.m. on Thursday, April 11. I am sitting alone in a hotel room between Atlanta and Alabama’s Holman Correctional Facility, where my client Christopher Price has lived since 1993. I am on the telephone with Chris, my client since 2006, talking about the meaning of life. Chris is one of Alabama’s 177 death row inmates, and April 11 is the night that Alabama intends to execute him by lethal injection. Seven hours earlier, a federal district court judge ruled that Alabama’s “three-drug cocktail” would likely cause Chris to feel excruciating pain as it paralyzes his entire body, destroys his internal organs, and then finally stops his heart. The Eighth Amendment (regarding “cruel and unusual punishments”) prohibits the government from killing a prisoner in such a torturous fashion, and so the district judge ordered Alabama to halt Chris’s execution for at least 60 days, enough time to hold a bench trial to determine conclusively whether Alabama could execute Chris in a more humane way. The US Supreme Court, however, will have the final word on whether Chris dies tonight. A few hours earlier, the Alabama attorney general asked the Supreme Court to reverse the district court’s order, arguing that Chris — actually, that I — had not acted quickly enough in challenging the state’s lethal injection protocol. I had a little over 90 minutes to file a response, not nearly enough time for me to summarize even a fraction of the details that the Supreme Court really needs to know about Chris’s case. And now everything comes down to these last 30 minutes. If five members of the Supreme Court agree by midnight that Chris’s execution should go forward, it will. Otherwise, Chris’s “death warrant” will expire, and the state will have to seek a new execution date for Chris. This would give Chris at least 45 days left to live — and give me at least 45 days to prove once and for all that Alabama has a more humane method of carrying out Chris’s death sentence. I understand why some people — probably many people — think I am on the wrong side of justice on this one. Chris is not innocent. He participated in the robbery and murder of William Lynn on the night of Dec. 22, 1991, and a jury of his peers determined that he should die for his crime. A close friend of mine recently asked me why I care, and why anyone should care, how much physical pain Chris suffers during his execution. After all, Chris’s victim died a terrible death, so why does Chris deserve a “humane” execution? I guess my best response is to explain what it has been like to walk in my shoes for these past few years, when it became clear that Chris would never be getting off of death row and would certainly die by execution in the not too distant future. Almost every time we talk on the phone, Chris asks me how much time he has left. That is a question that a patient with a terminal illness asks her doctor. I don’t think it is a question that a healthy 46-year-old man should have to ask his lawyer. 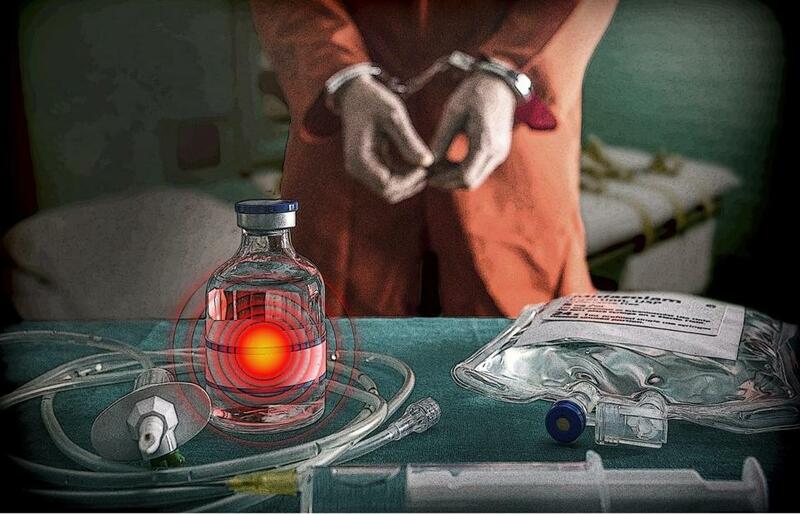 Chris once asked me whether being killed by lethal injection would hurt. I had to tell him the truth: “Based on the medical experts I have spoken with, it will be severely painful, and you will suffer terribly for several minutes or more before you finally die. Every muscle in your body will be paralyzed, though, so nobody will be able to see how much you are suffering.” So to those of you who believe that Chris’s Eighth Amendment litigation is just a legal stunt intended to delay his day of reckoning, I can promise that you are wrong. I don’t know why Chris did what he did on the night of Dec. 22, 1991. To call it a mistake or a moment of bad judgment would be offensive to the victim and the still-grieving family members he left behind. It would also fail to recognize the complex reasons that Chris went from being a soft-spoken kid who loved to draw to a murderer, at age 19. I do know that Chris is not the same man today that he was at age 19. When Alabama finally executes Chris, it will be executing the man that drew my 9-year-old daughter an incredible picture of Wonder Woman, with a speech bubble that reads, “Remember that girls can do anything that boys can.” It will be executing the man who, every year without fail, sends hand-drawn, individualized Christmas cards to the lawyers, paralegals, and secretaries at Ropes & Gray who have worked on his case over the past 15 years. My opinion is that we should not be executing Chris. I think we can and should be better than that. Frankly, after what I have been through with Chris, I’m not sure we should be executing anyone. Maybe you disagree with me on that. But, at the very least, I hope you can agree that if we are going to put someone to death, we should make absolutely certain that we do so in the most humane and dignified way that is reasonably possible. I think we owe that to ourselves. Aaron Katz is a partner at Ropes and Gray.